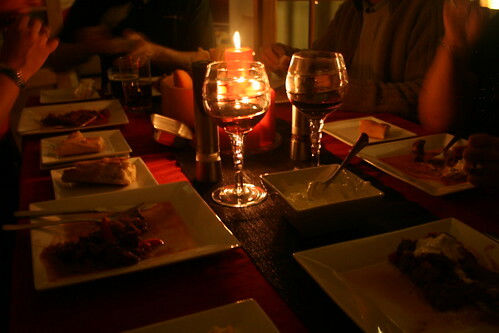 As darkness fell over Saturday evening and cats with knowing eyes prowled the hushed street outside I closed my blinds and retreated into to my kitchen. It was time to stir up a little black magic for my Halloween Feast. A deliciously wicked goulash (or, forgive me, ghoulash) was what I had in mind, followed by spooky meringue ghosts, all washed down with blood-red wine. 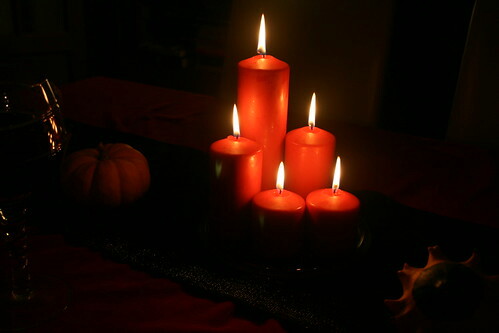 Saturday night passed in a cackle of merriment and as dawn broke the following day Halloween was upon us. I gathered rosy red apples and grisly sweets in my Halloween basket ready to give out to my little witches and ghouls who would come knocking when night fell once more. I performed my annual ritual of carving a pumpkin and placing a tea light inside and then put it on my doorstep along with a gaggle of gourds. The carved pumpkin the unmistakable sign of a witches coven, inviting all from the underworld to join in the festivities. Drizzle a little olive oil into a large casserole dish and heat it over a high heat. Brown the beef in batches and then remove it and set it aside. Add the onions to the pan and sauté them for about 5 mins until they start to soften, then stir the paprika into them. Add the beef back to the pan along with the stock and tomatoes and bring it up to the boil then gently simmer it for 1.5 hours then add the peppers. Cook for another 30 minutes or until the beef is tender and the sauce has thickened a little. Serve with French sticks and soured cream. Preheat the oven to 120°C/ fan 100 ̊C/gas mark 1/4. Line 2 large baking trays with baking parchment. Place the egg whites into a large mixing bowl and whisk the eggs until they form stiff peaks. Next add the sugar one tablespoon at a time, whisking each tablespoon in before adding the next. Once all the sugar has been incorporated the mixture should be firm and glossy. Spoon the mixture onto the lined baking tray forming 6 ghostly shapes using the back of a metal spoon. Bake the meringues for 2 hours then remove them from the oven and leave them to cool. Melt the chocolate square in a heatproof bowl suspended over a pan of simmering water and then use a cocktail stick or fine brush to dot eyes onto the ghosts with the chocolate. Serve as they are or with lightly whipped double cream and fresh seasonal fruits. I love the meringue ghosts! Fab post, loved it. No such fun here, but next year we’ll be able to take Mia “Trick or Treat”ing! We don’t have that tradition in Portugal but you give me with this post, wonderful ideas for some other celebration. 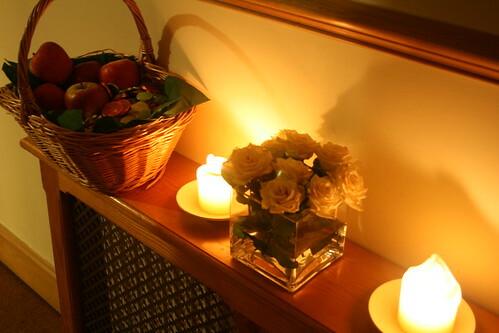 Love the Ambiance created, Julia. :swoon: and Meringue, my favorite :drool:. 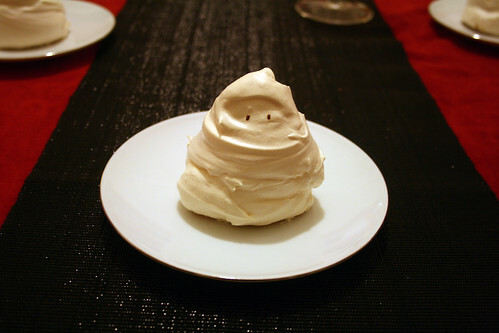 funny meringue ghost. so cute. i’ll try to make a colorful ghost meringue. your ghoulash look so delicious too. can’t wait to try this recipe. i have lots of innovations in mind. I have to agree with the others, the meringue ghosts are fab. 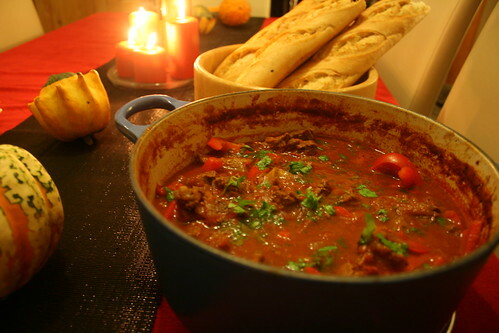 I am also fond of goulash, it is the ultimate comfort food and yet the flavours remind me of sunshine. Love the meringue ghosts! 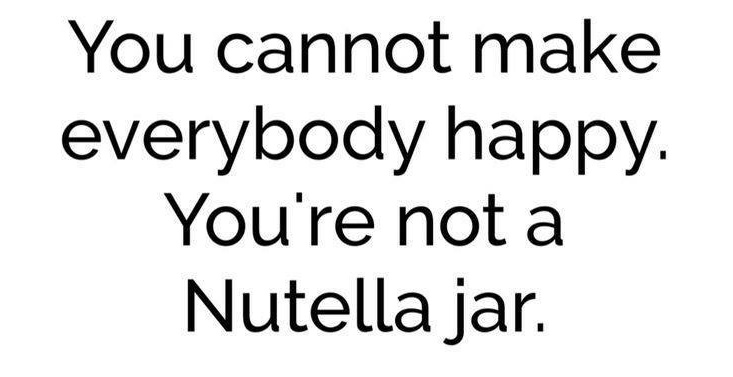 And you have me thinking about making goulash. It looks delicious. I’ve only read two posts so far but I’m hooked on your blog! I love your Halloween shots, especially because you’ve pulled off good pictures in the dark. Do you have any secrets you’re willing to share with a hopeless photographer? The Ghoulash looks to die for. Keep up the good work! I’m gonna be making this soon. 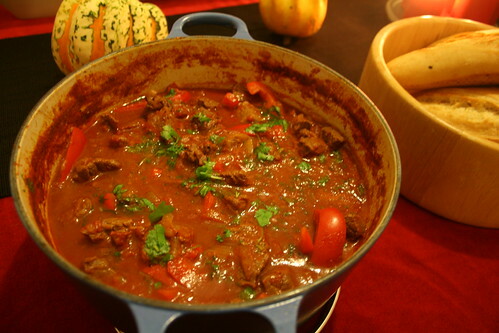 My family loves goulash and I’ve been looking for a good recipe for this for awhile.